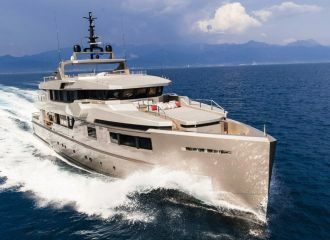 This Admiral Impero 40m yacht is an innovative motor yacht with beautiful lines, perfect for a yacht charter on the French Riviera. 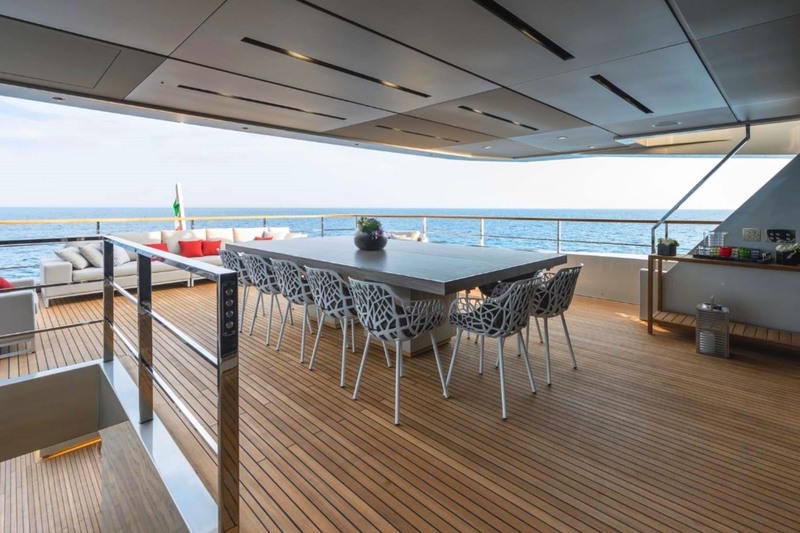 The aft deck features a large seating area. 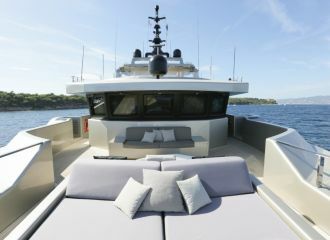 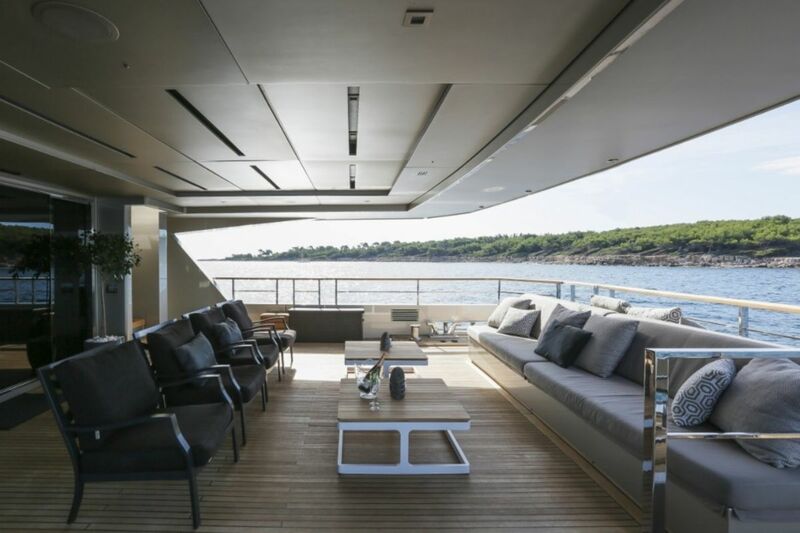 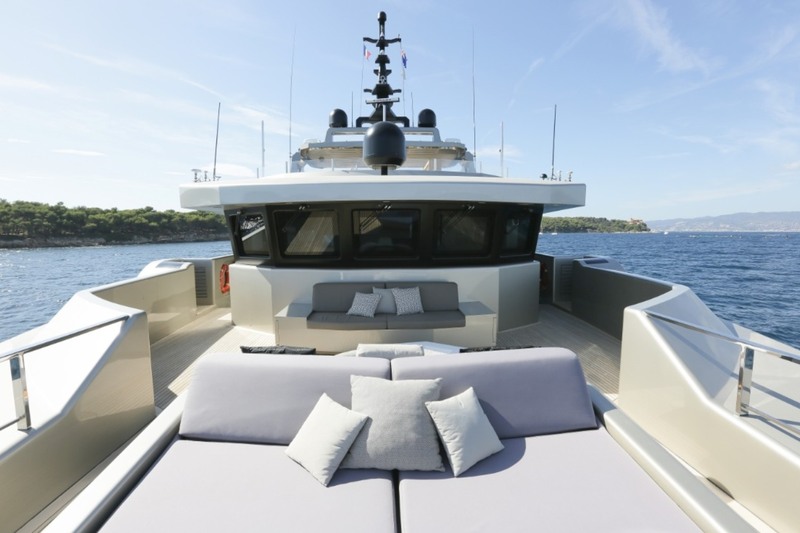 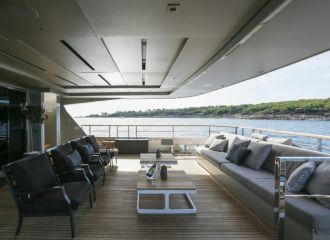 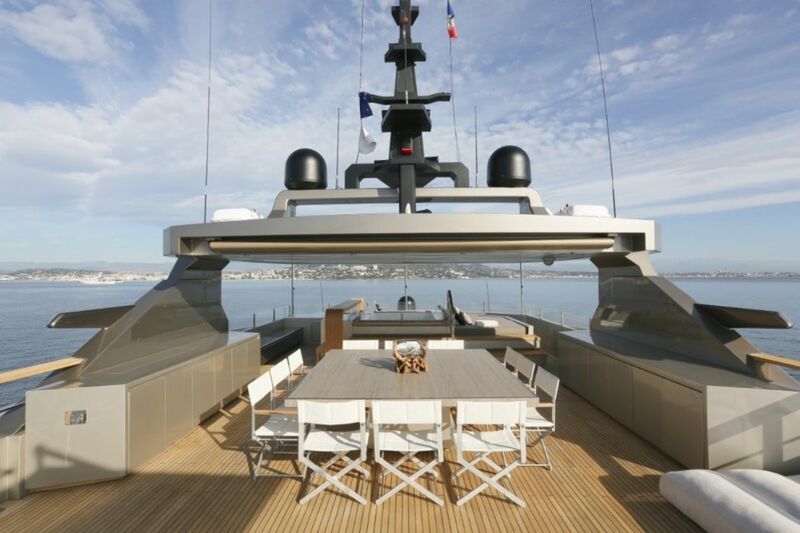 A further seating area and a large sunbed can be found on the foredeck. 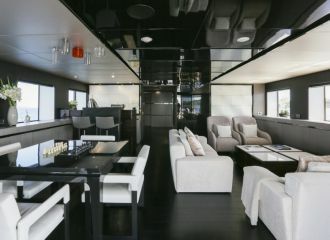 The upper deck features a great dining table for up to 12 guests as well as some sofas. 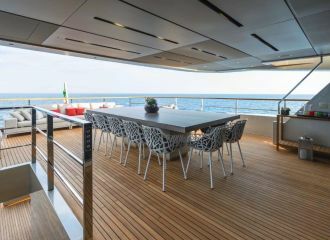 The sundeck is definitely the place for entertaining guests with an enjoyable dining area, some sunbeds and a bar. 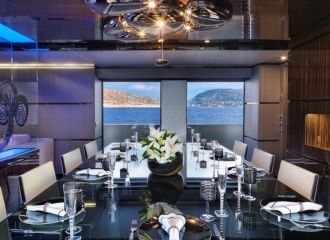 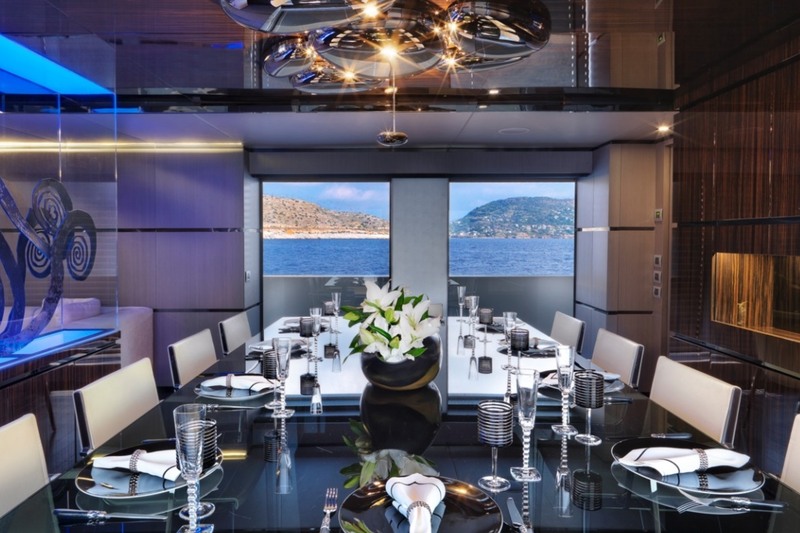 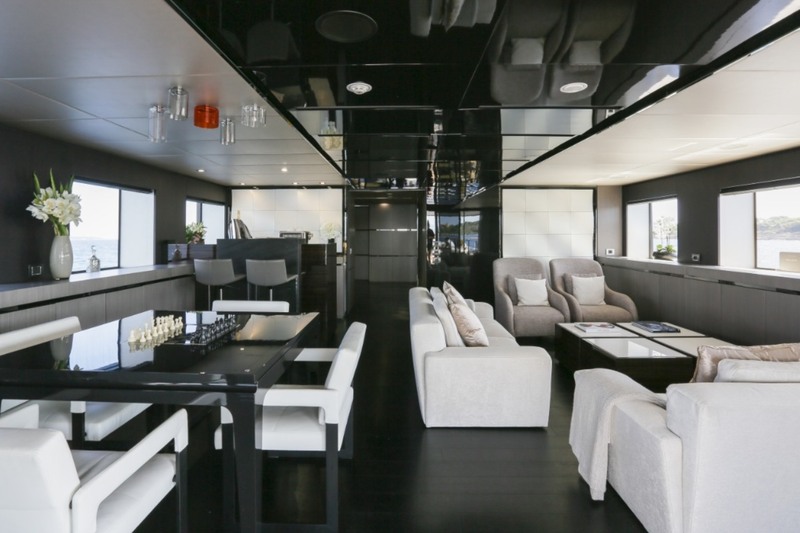 The sophisticated interior of this Admiral Impero 40m yacht is very spacious with a saloon and a dining area on the main deck as well as a sky lounge and a bar on the upper deck. 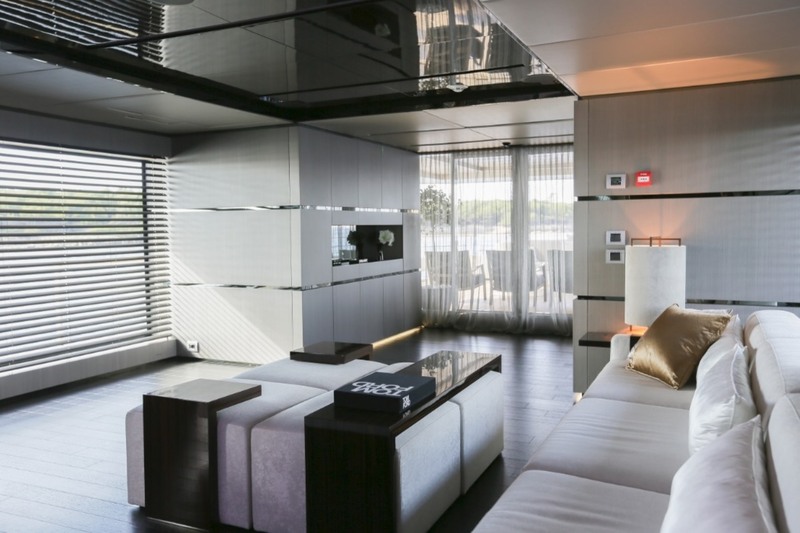 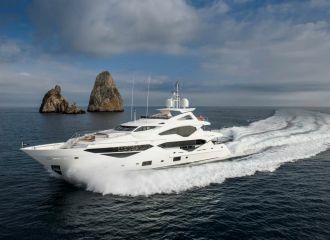 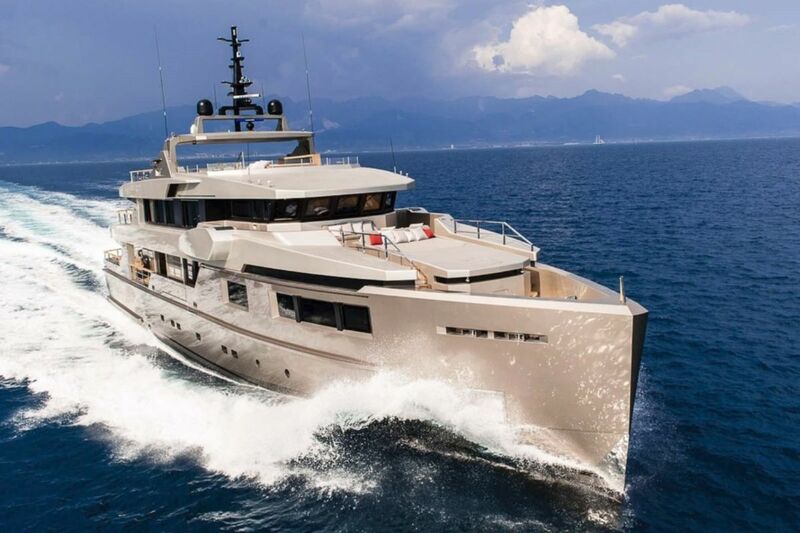 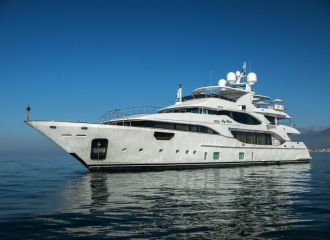 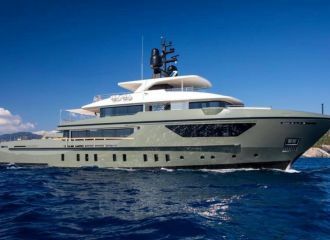 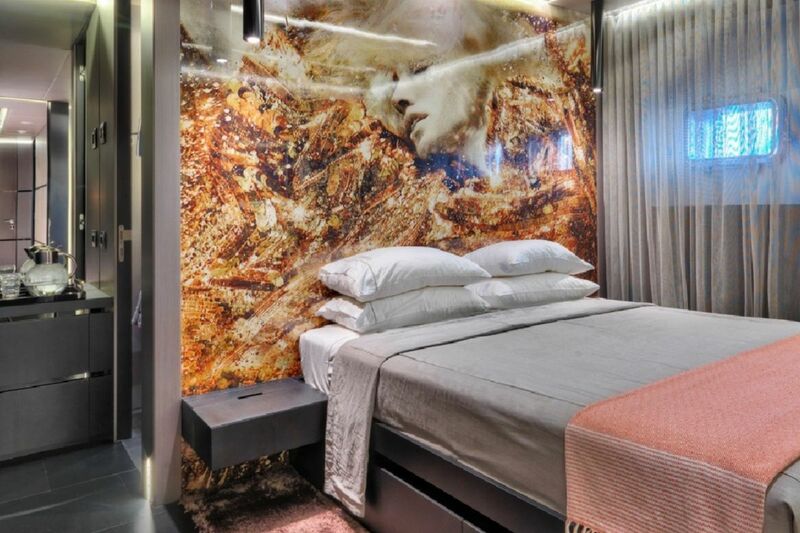 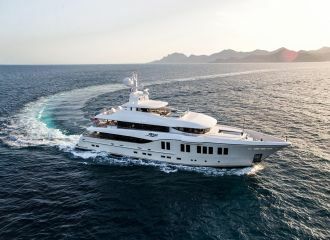 This Admiral Impero 40m offers comfortable accommodation for up to 10 guests in 5 cabins: 4 double and 1 twin, all with modern en-suite facilities. 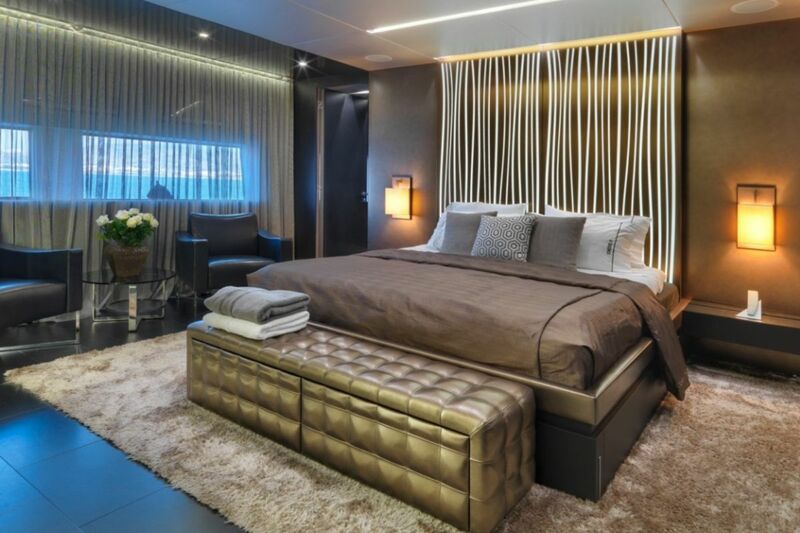 An extra Pullman berth is available. 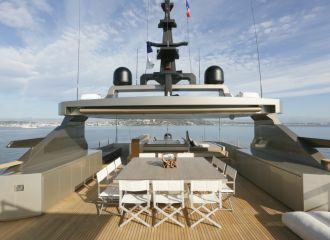 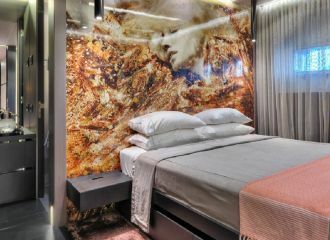 total 30000	€ Excluding VAT and APA ?